It boiled down to a match between the big two in the betting in the opening www.galwayraces.com Mares Maiden Hurdle. Kalopsia at odds of 6/4 gained the day by half a length from Lettre De Cachet (11/8 favourite). The story of this two miler is easily told. Lettre De Cachet travelled better than Kalopsia to take over at the last but a mistake here proved disastrous. 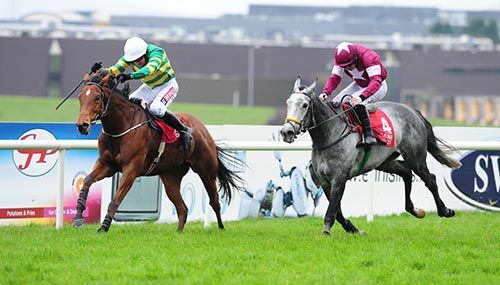 In the J P McManus silks Barry Geraghty wasn't long about seizing the opportunity to take command again, and the Joseph trained Kalopsia kept on gamely to defeat the unlucky Lettre De Cachet. Click Here! "She had a few niggly problems and it's great to get a winning bracket with her. We won't be getting too ambitious with her yet," said McManus' racing manager Frank Berry. No matter how Intricately fares in the Juvenile Fillies Turf (G1), she’s already provided one of the most compelling angles of the Breeders’ Cup: an O'Brien family saga. Bred by Aidan and Annemarie O’Brien, Intricately is trained by their son Joseph (the former jockey) and ridden by another son, Donnacha. She earned her way here by upsetting the Aidan O’Brien-trained Hydrangea in the Moyglare Stud (G1), and if Intricately can repeat the feat at Santa Anita, the O’Brien lads would make Breeders’ Cup history. 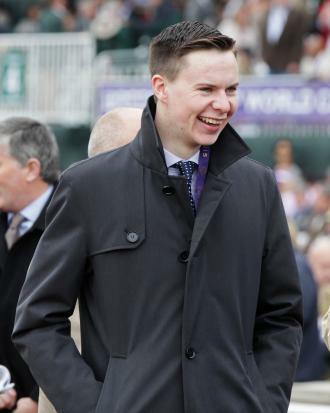 Joseph O’Brien currently holds the record as the youngest jockey to ride a Breeders’ Cup winner. He was 18 years old when guiding his father’s St Nicholas Abbey in the 2011 Turf (G1). Now he can become the youngest trainer to saddle a Breeders’ Cup winner, eclipsing Craig Dollase, who was 27 when Reraise took the 1998 Sprint (G1). Joseph would also emulate the great jockey-turned-trainer Freddie Head, the rider of the dazzling Mile (G1) winner Miesque (1987-88) who trained Mile three-peater Goldikova (2008-10). Donnacha O’Brien would supplant Joseph as the youngest Breeders’ Cup-winning jockey. Although he’s currently 18, his birthday is a couple of months after Joseph’s, so he’d establish a new record. Intricately has more going for her than sentimental rooting interests. Initially sporting the silks of Annemarie O’Brien, she started her career by springing a 33-1 upset of the Aidan O’Brien-trained Sir Edwin Landseer at Gowran, a race that has produced a few winners. Next tackling the Silver Flash (G3) at Leopardstown, Intricately was a solid third to Aidan O’Brien’s touted Promise to Be True. Her effort can be upgraded since she covered the most ground, and lost by a little more than a length. Intricately was then purchased by Mrs. C.C. Regalado-Gonzalez, perhaps best known for buying Qualify the winter prior to her 50-1 stunner in the 2015 Oaks (G1). Interestingly, both Qualify and Intricately are daughters of Fastnet Rock. In her debut for her new owner, Intricately was third to the Aidan O’Brien duo of Rhododendron and Hydrangea (a Juvenile Fillies Turf [G1] rival) in the Debutante (G2) at the Curragh. She loomed briefly, couldn’t go on with the top two, but kept on persistently. There was no reason to suppose that Intricately would outstrip them in their rematch over the same track and trip, and even a similar course condition, in the Moyglare. Ignored as the 25-1 longest shot on the board, she prompted the pace set by Hydrangea and threw down an unexpectedly dangerous challenge. The two reached the wire together, and Intricately won the decision by a head-bob on a day characterized by upsets. As much credit as Intricately deserves for giving Joseph O’Brien his first Group 1 winner as a trainer, and rider Donnacha his first Group 1, it’s hard to escape the conclusion that the Moyglare was a perfect storm for her. Third-placer Rhododendron, who was flailing away uncharacteristically, had her task complicated by the track’s playing friendlier to on-the-pace types that day. 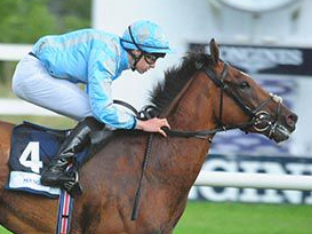 Rhododendron turned the page next time with an emphatic victory over Hydrangea in the Fillies’ Mile (G1) at Newmarket. We simply didn’t see the real Rhododendron in the Moyglare. Aside from exacting revenge on Rhododendron and Hydrangea, Intricately was also turning the tables on another Aidan O’Brien runner, her Silver Flash conqueror Promise to Be True. The odds-on favorite in the Moyglare, Promise to Be True never got going in fifth. She’s since placed in a pair of French Group 1s – the Prix Marcel Boussac (G1) and Sunday’s Criterium International (G1) against the boys. (Hence Promise to Be True likely won’t follow through on her Juvenile Fillies Turf pre-entry). My hunch is that Intricately handled the tough conditions at the Curragh better on the day. A fast, turning mile at Santa Anita is a very different ball game that will play to her rivals’ strengths. Yet I could be underestimating Intricately. Fastnet Rocks do improve with time, and she’s a genuine, consistent type who’s never been worse than third. Her pedigree has a further Aidan O’Brien connection. She’s out of a Galileo half-sister to world-class miler Rock of Gibraltar, who had his own Breeders’ Cup agony in the 2002 Mile at Arlington. 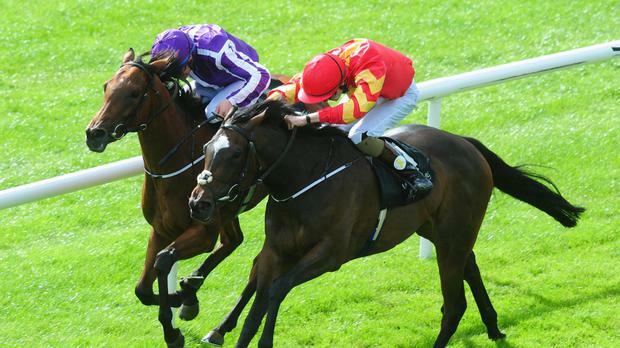 Wouldn’t it be poignant if the O’Brien sons break through at the Breeders’ Cup with a relative of Rock of Gibraltar? Joseph is hoping for another big show from Irish Cesarewitch runner-up Cradle Mountain in the valuable Tote November Handicap at Leopardstown on Saturday. The JP McManus-owned gelding chased home Laws Of Spin at the Curragh on his most recent start and tackles another €100,000 contest now, as the curtain comes down on the Flat turf season. Joseph admits the four-year-old is a bit of a "character" but the gelding has done well since switching to the Pilltown handler, winning twice over hurdles and finishing placed on three other occasions over timber. Joseph said "He's in good form and he ran well in the Cesarewitch. He doesn't have a great draw, but it could be worse and hopefully he runs a good race, He takes a bit of riding and he's a character, but in fairness to him he's a consistent enough sort at the same time.When you get stuck into him he keeps pulling it out, so you'd have to hand that to him. He just appears lazy." Behind the scenes with Boylesports new Racing ambassador Joseph O'Brien as he reveals plans for 9/2 Intricately at the Breeders' Cup. Joseph is ready to with the help of his younger brother Donnacha to take on the big guns next Friday at Santa Anita in the Grade 1 Breeder's Cup Juvenile Fillies Turf at 10.50 GMT. The race will be the biggest ride of 18 year old Donnacha's burgeoning career but Joseph has faith in his brother. Joseph said "Donnacha has had a great season and has just got better and better all year. He's been riding very well and I wouldn't want anyone else on her. Intricately caused somewhat of a shock when winning the Group 1 Moyglare Stud stakes at the Curragh at 25-1 in September . Her owner Mrs C C Regalado-Gonzalez is used to big race shocks her Qualify won the Group 1 Investec Oaks in 2015 at 50/1. Both fillies were bred by Joseph's mother keeping it all in the family. Joseph said"The Breeders' Cup is special and I enjoyed one of the best moments of my career in the saddle when St Nicholas Abbey won the Breeders' Cup Turf. Intricately is in great form. Our biggest dangers look likeliest to come from the European runners. Obviously, Dad has a strong hand, with Hydrangea, Roly Poly and Promise To Be True." Boylesports book making firm sign Joseph as a horse racing ambassador for the 2016/17 season. Joseph will take up his position as ambassador with immediate effect. He will provide a weekly blog for their website this will include information on his runners. Joseph said "I'm delighted to be teaming up with Boylesports, they strive to be the best in their industry and I'm delighted to be working with them. " Rosshaven Lady gained a deserved win over hurdles when taking the opening Cahir Mares Maiden Hurdle at Clonmel. Joseph's mare won twice last year in bumpers at Limerick and Galway, and has proved a consistent sort since switched to hurdles this term. Khalessi set the pace in this 2m3f event but was collared by the 2/1 winner approaching the last. Jody McGarvey’s mount kept on well on the run-in to score by four and three quarter lengths lengths, with Coolagh Moll staying on a further 12 lengths away in third. Joseph said, "She had been running well but it took her a couple of runs to get her jumping properly. She hadn't been jumping well initially but was better today apart from a little mistake. She doesn't want the ground bottomless and is entitled to a little break now. She has an engine, is a big mare who I'd imagine will jump a fence in time. She could have more respect for fences in time." The Devils Bit 3-y-o Maiden Hurdle at Thurles wen the way of the Joseph O'Brien-trained and Jody McGarvey-ridden Zig Zag. The consistent Zig Zag was deserving of a first hurdling success which he ultimately achieved by three parts of a length from Moorland and Universal Focus. "That was a long time coming but he's so tricky. He has plenty of ability but has thrown it away a couple of times," said McGarvey. "I was fortunate there were a few casualties early on. I was keen not to get to the front, and took a lead as long as I could." Joseph is hoping to cap his first year as a trainer by having a winner at the Breeders' Cup at Santa Anita on November 4. The 23-year-old has a serious contender for the Breeders' Cup Juvenile Fillies' Turf in Intricately, who gave him his first Group One triumph as a trainer in the Moyglare Stud Stakes at the Curragh last month. It is only five years since he steered St Nicholas Abbey to victory in the Breeders' Cup Turf for his father Aidan in 2011. Now he is looking to giving his brother Donnacha the chance of riding a winner at the Breeders' Cup at Santa Anita though it would mean him getting down to do 8st 10lb, the lowest weight he has managed in the last 12 months. Joseph said "It's quite a light weight in that race but hopefully Donnacha will ride her. The Breeders' Cup is the plan at the minute, It's going to be very quick ground there but I don't see that as a big issue for her. It's wonderful to have one good enough to think about going there and the Moyglare form is working out amazingly well." Triumph Hurdle winner Ivanovich Gorbatov is set to spearhead Joseph's team in his first jumps season a trainer. The 23-year-old son of champion Flat trainer Aidan O'Brien has only had a licence since June, although he was credited with Ivanovich Gorbatov's Cheltenham Festival success while he was helping his father. Ivanovich Gorbatov found Apple's Jade too good at Aintree and Punchestown in his two subsequent starts, but the four-year-old is reported to have summered well and is expected to be back in action before Christmas. 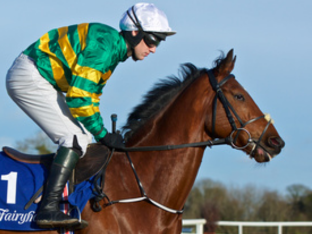 Joseph said "He had a good break over the summer and is on his way back, I'll be looking to get him back to the track at this side of Christmas and he'll run in all the top races.Like any good juvenile hurdler coming into open company, he probably has a stone or more to find on the best hurdlers, but we'll give him his chance to do it." Another former inmate of Aidan's he has in his care is Landofhopeandglory. Fourth in the Queen's Vase at Royal Ascot, the High Chaparral gelding is set for a career over hurdles. 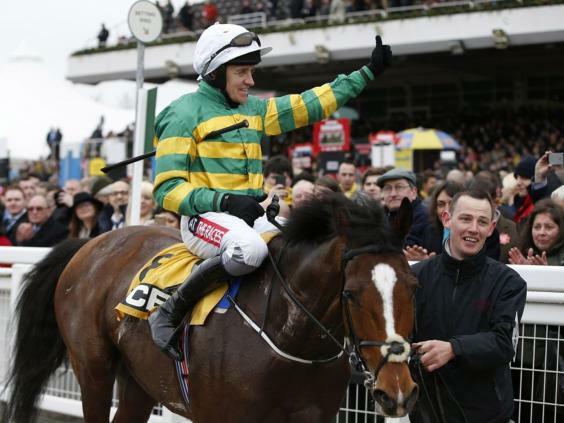 "The plan is to go juvenile hurdling with him. His schooling over hurdles has gone well," said Joseph. "He seems to like it, which is the main thing. I'm looking forward to getting him on the track." Joseph has plenty of ammunition over hurdles and fences, with Slowmotion and Tigris River named as two to follow. "Slowmotion has done very well on her summer break and should be ready to run in a month or so," he said. "A decision hasn't been made whether she stays over hurdles or goes chasing, but she's a lovely prospect whichever road she goes down". "Tigris River had a break after Galway and we'll campaign him in those valuable handicap hurdles. He ran well enough in the Galway Hurdle to suggest he can compete in those type of races and with a bit of luck he'll go close in one of them." Of his chasers,Joseph believes Edwulf could make his mark. "He's a lovely, big horse that will go back novice chasing," said the trainer. He looked like he was going to win what was a very good beginners' chase at Navan last season but then he fell at the last. 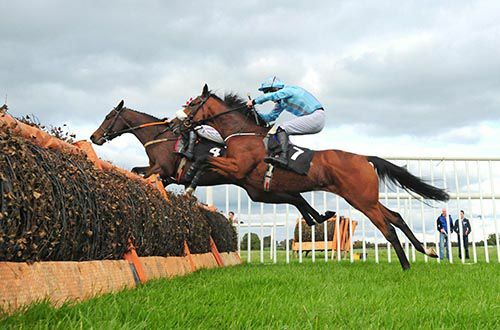 He went over hurdles after that and won a maiden at Naas. He was running very well in a good novice hurdle at Thurles, but fell at the third-last when still in with a chance. He's an exciting horse and I'm looking forward to seeing him back over fences." The High Chaparral 3 year old out of German mare Wurfklinge has transferred from Ballydoyle to Owning Hill. 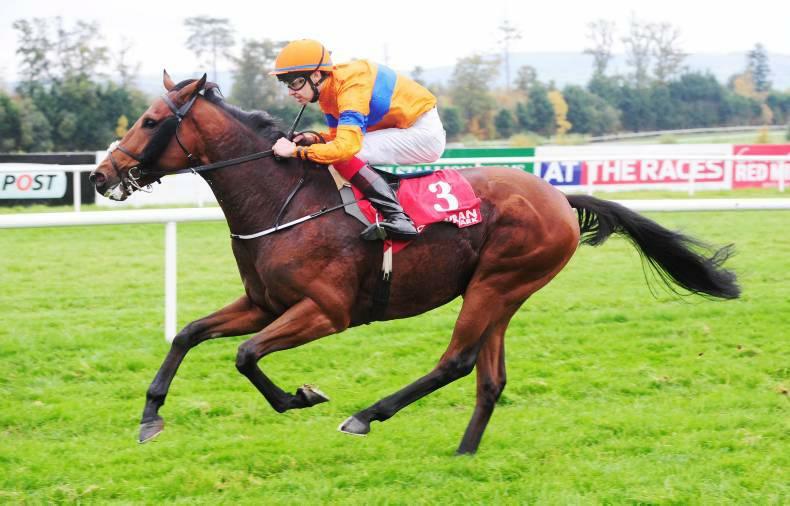 He was rated 102 & made 10 starts for Joseph's Father Aidan during the 2016 flat season winning one and placing in 4 races including 2nd spot in the Curragh Cup Group 2 behind stable mate Sword fighter. He was last seen at Hamburg on the 10th of July were he only managed to beat one home in the German Derby. Landofhopeandglory has since been gelded and will be a nice addition to Joseph's National Hunt team. After enforced injury break Barry Geraghty was quickly back on a winner on Geordie Des Champs at Chepstow on Saturday. 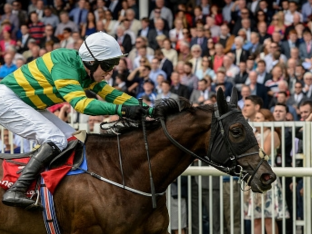 Following a second placing here at Galway on Aspen Colorado, the Meath man returned to the number one spot on home soil when guiding Joseph O'Brien's All The Answers to success in the Galway City & Salthill Publicans Charity Handicap Hurdle. "It's nice to have a winner and in Galway too," remarked Geraghty. He then reflected: "He battled well. I thought he'd win going to the last, I had a bit of work to do at the back of it, but thankfully he rallied, He wasn't as quick as you'd like over the last few, and I was chasing the runner-up then, but thankfully he pulled it out. My arm is in good enough condition, I was off for twelve weeks and it takes race riding to really get you fit." The three-year-old son of Fastnet Rock was dropped in by Donnacha but had made headway to sixth coming to the final furlong. Donnacha was looking for a split but then switched his mount left and Jaqen H'Ghar stayed on strongly to mow down his rivals and win by a length and a quarter. Vintage Charm (20/1) and Breenainthemycra (10/1) took the minor honours. Aidan , representing Joseph , said: "He probably likes being ridden that way. He was very patient on him. This was Jaqen H'Ghar's third career victory and first at this trip. Cradle Mountain came from last to first to land the Woodlands Hotel Adare Handicap Hurdle under Jody McGarvey for Joseph. He was second to runaway winner Swamp Fox on his last start in the Lartigue Hurdle at Listowel, the son of Mastercraftsman was sent off a 7/1 chance this afternoon. Having raced towards rear, he received reminders after five out. He was ridden along in eleventh after the third last and took closer order from the next, staying on best from the last, going on to score by a length. Ballyadam Brook finished second ,Rocky Court was a length and a quarter back in third . Cradle Mountain's stable mate Hallmark finished 13th out of the 15 runners. Joseph Said "He knows plenty about the game and never travels or jumps but has plenty ability. It's nice to get him to win again and he'll go for something similar again." When asked about Aidan's 1-2-3 in the Arc, he added: "It was unbelievable and you couldn't imagine it could happen. It's a funny track and the three of them were drawn all over the place and for it to happen for the three of them was just unbelievable.She has been second in nine Group 1's and when things fall right for her she is unbelievable - Ryan gave her a great ride. She was a bit unlucky last year but it was an Arc and every year there seems to be some unlucky ones.That's the reason Found was kept in training and that's the race she was kept for all along." Ricky Doyle partnered his first winner for Joseph at Gowran today, winning the opening Golf Memberships 2017 From E500 3YO Hurdle with Lord Justice. Seven pounds claimer Doyle was substituting for injured J.J. Slevin, who fractured a leg at the venue yesterday, and produced Lord Justice with perfect timing to lead on the run-in before scoring a three and a quarter lengths win over Masonbrook Lady with his stablemate Zig Zag back in third after a mistake at the last fence when challeging. Lord Justice was the first son of Zoffany to win over jumps in Ireland or Britain although he did produce a French hurdles winner in May. Joseph said “he jumped and travelled well and improved a bit from Ballinrobe, Ricky gave him a great ride I would say he could be improving. He might have to step up in class now. I still have a few nice three-year-old hurdlers to come out, and the standard of these races will go up in the next month to six weeks. Zig Zag has been disappointing he works good at home you'd like to see him run a little bit better, back to the drawing board with him." NEW Horse Bel Sas Owners are Gigginstown Stud. Bel Sas has his first start for Joseph on Sunday at Tipperary, see owners page for more info on Gigginstown stud and Jockey's Bio page for more info on BJ Cooper.